At present, China's annual output value of plastic molds is about 53.4 billion yuan. Do you believe that the rapid development of the Chinese economy has become more and more stringent for the plastic mold industry, thus providing a huge impetus for the development of the plastic mold industry. According to current accurate statistics, China's annual plastic mold output value reached 53.4 billion yuan, which is an existing fact. With the rapid development of automobile manufacturing and IT manufacturing, the domestic mold factory has achieved rapid development in recent years. It is understood that the proportion of plastic molds in the mold industry in China can reach 30%. It is expected that in the future mold market, plastic mold will account for the proportion of total molds will continue to increase, and the speed of development will be faster than other molds. It is reported that the mold industry has grown at a rapid rate of 20% per year since 2000, which has driven the improvement of mold grades. Fine mold manufacturing equipment has provided protection for the improvement of mold technology level. Due to imports of molds, precision, large-scale, complex, long-life molds account for the majority in recent years, so from the perspective of reducing imports and increasing localization rates, the market share of these high-grade molds will also gradually increase. With the rapid development of the construction industry, a variety of profile extrusion dies and PVC plastic pipe joint dies have become new economic growth points in the dies market. The rapid development of the expressways has also put forward higher requirements for automobile tires, so radial tire rubber dies in particular, the development of the dyads will also be higher than the overall average level; the use of plastic substitutes for wood to make plastic molds in the automotive and motorcycle industry will be in great demand; the household appliances industry will be in the Twelfth Five-Year Plan period. There is great demand for plastic molds for large-scale development, especially for parts and accessories such as refrigerators, air conditioners, and microwave ovens. 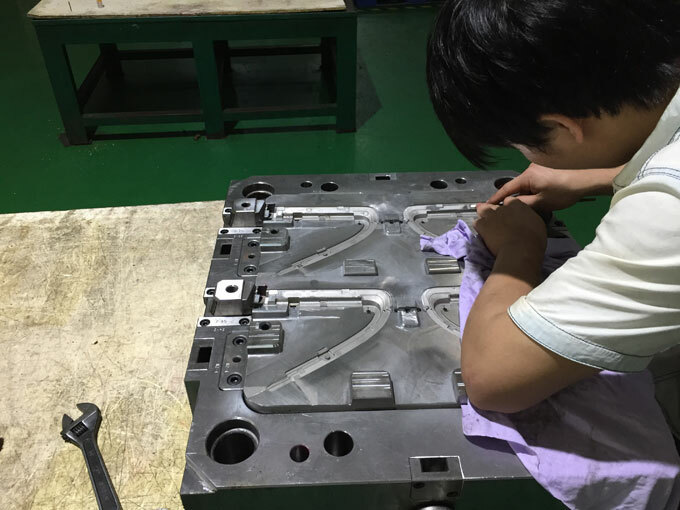 At the same time, the pace of structural adjustment in the plastics mold industry is accelerating which the number and capacity of professional plastic mold manufactures facing the market are also growing rapidly. According to the analysis of the production, sales, market conditions, industry structure, products, and import and export of the plastic mold manufacturing industry, with reference to the development trend of the related industries of plastic molds, predict the future development direction of the plastic mold manufacturing industry in China. These are all needed to be verified that how much potential for development in the mold manufacturing industry. Precision measurement technology Plastic products are complex in shape and varied in form. The corresponding mold cavity with a complex surface. Especially for precision molds, precise data of each surface must be obtained to control its manufacturing accuracy, and conventional measurement methods cannot meet the above requirements. Requires computer-controlled ultra-precise three-dimensional spatial stereo measurement technology. With the precision in the current precision plastic mold industry reaching ±2μm that the company's measurement technology is faced with higher requirements. Many years of industry experience and technology precipitation molds are mostly single-piece production, with non-repetitive features and coupled with the complexity of precision injection molds, so in the design process, mold companies are taken into consideration comprehensively in product structure, material selection, the manufacturing process, manufacturing costs, etc. Due to the diversity of alternative design solutions, the stability of the mass production of the mold in the subsequent molding production and the moldable life of the mold must also be taken into consideration. Finally, an optimal solution is proposed. At present, some advanced technology companies in the industry can already correct the designs that may cause problems for the follow-up mold manufacturing and molding production in customer product designs, thereby improving the customer's mold design solutions and obtaining higher technical and service added value. Materials and process selection technology In the manufacturing process, first of all, companies must select different processing technologies according to the different physical properties of various die steels, optimize them to achieve a better die life, and secondly, companies must rely on various The characteristics of plastic raw materials, select different temperature, pressure and other molding parameters, so as to obtain an optimized molding effect. The length of the mold life and the pros and cons of the product forming effect depend to a great extent on the understanding of the material and the mastery of the processing technology. Since the development of the precision plastic mold industry, the requirements for the mold manufacturing cycle and the product molding cycle have been greatly shortened. Taking the OA equipment mold industry as an example, the manufacturing cycle requirements have been shortened from the previous year to a year and a half to the current three months. About six months, the shortening of the mold manufacturing cycle can shorten the R&D cycle of the customer's products and enable the customer's products to occupy the market as soon as possible. At the same time, it can also increase the added value of the mold enterprise's products and services and enhance the efficiency of the mold companies. The mold industry is a non-standard industry. Even if it is a customer-supplied sample, such as an ink cartridge, due to the different product models and different design structures, the mold design may have a completely different structure. At the same time, the customer's product consists of multiple parts, some of which require the use of multiple sets of molds for production, and some parts can be assembled together with a set of molds for the company's main customer, Konica Minolta. A printer, for example, requires a total of more than 100 molds for the production of plastic parts. Therefore, the mold products are characterized by multiple varieties and batches. The non-standard and multi-species characteristics of the mold products make the mold companies must master all kinds of material properties and material processing techniques. After getting the product drawings, a complete set of mold designs for the current products can be designed in a short period of time with processing and forming production solutions. For materials that have not been used in previous production or structures that have not been contacted before, mold companies are required to have strong technical and innovative forces to develop designs, processing and molding solutions that are suitable for the current products, and to carry out CAM programming. And CAE simulation analysis, determine the NC program required for mold processing and molding process required temperature, pressure and other process parameters. The downstream industries corresponding to the precision plastic mold industry include automobiles, OA equipment, consumer electronics products, medical care, aerospace and many other industries. The products produced are diversified. 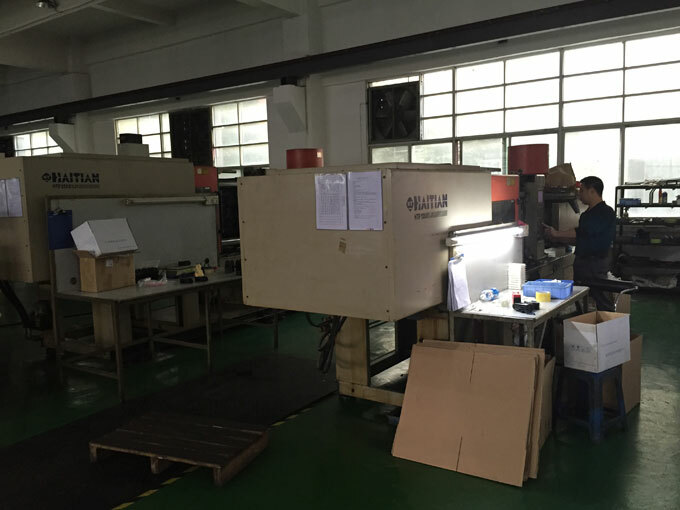 The customer's qualification review of the mold supplier is strict and generally requires a small supply testing period of 3 years. After the inspection is passed, the mold manufacturer is included in its global procurement chain. From then on, a close partnership is formed unless the mold company itself has major problems. The product quality has dropped sharply, otherwise it will not replace the mold supply channel. Under such a stable partnership, customers have higher requirements for mold supply companies. We hope that mold supply companies can have a deep understanding of the industry characteristics and product performance of customers, thus providing more design and good service in production processes. In summary, the characteristics of the precision plastic mold industry require that business executives in the industry always maintain a sense of innovation, continue to introduce high-precision equipment, through the introduction of cooperation, research and development and independent research and development of high technology, choose a reasonable company management mechanism and management structure to encourage innovation In order to maintain the competitiveness of the companies in the market and intensify its market share, it is necessary to innovate the production and business operation mode of the company to take advantage of the competition.